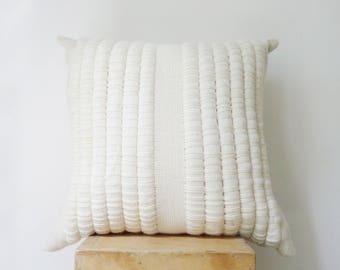 Decorative throw pillow for home, is a small part of a giant tapestry in a timeless trend textured ethical and sustainable. 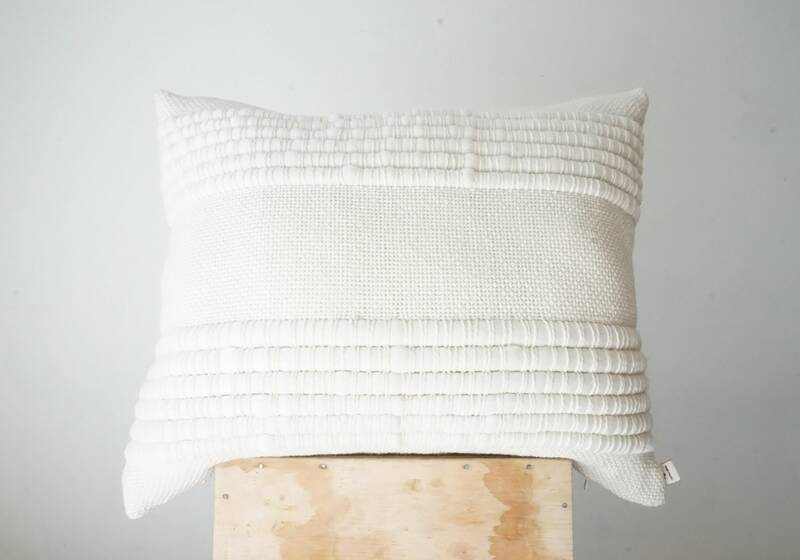 This woven chunky cushion cover is a true eye catcher and will be perfect addition to your living room or bed. 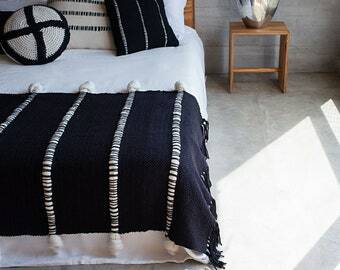 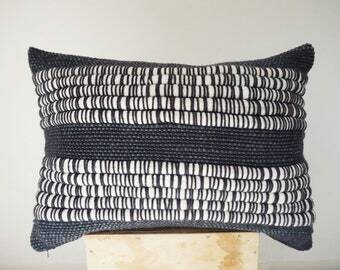 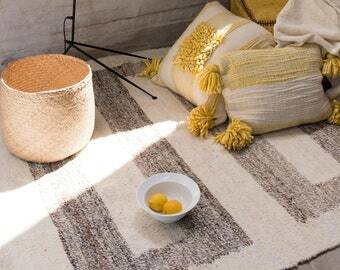 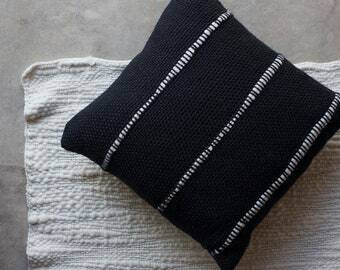 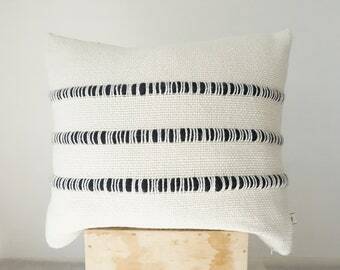 The neutral weaving striped pillow cover is made from handspun yarn of super fine merino wool roving. 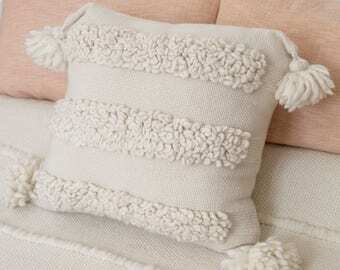 Cozy neutral pillows and throws are trendy now for Christmas decorating, scandinavian and minimalist decor.